Social Media History, Internet History, World Wide Web, Gen Y | girlpocalypse. Let’s take a look back at the long, data-fueled, social media-driven road that has led us to where we are today — checking our Facebook pages every fifteen minutes, during which you saw me post this link and felt the need to click on it instead of doing something productive. Luckily, this post includes a valuable history lesson and not just a Tumblr of cat GIFs. 20 free hours a month!? How do they stay in business? 1969: “Dial-up” internet actually made it’s debut in 1969, if you can believe it. But we best remember it as the sound of logging in to America Online in the 1990s — fingers crossed you didn’t hear the dreaded busy signal. You only have 30 minutes of your free 20 hours of the month left, and you need to meet that cute m/15/boston in the teen chatroom ASAP. Hmmm, that grainy, slow-loading picture he sent you looks an awful lot like Jonathan Taylor Thomas. The sound of human interaction dying. 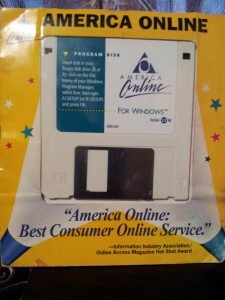 1985: …AOL was born the same year as my sister, who I would have to argue with to get off the telephone so I could hear those three little words every preteen in the 90s longed to hear — “You’ve Got Mail.” Mom, was that second child really a good idea? Also, be sure to think long and hard about your screen name. You may be a fan of a certain Gavin Rossdale fronted band, but the strangers you talk to on the internet don’t know that. 1993: CERN (a terribly misleading acronym unless you speak French — but if you watch Cash Cab you may know it refers to the European Organization for Nuclear Research) shares it’s WWW technology with the public. That’s the World Wide Web, y’all. But don’t call it that after 2005, you will be judged harshly. 1994: Geocities makes it’s WWW appearance! Who didn’t have a Geocities fansite for some nerdy pursuit? I most definitely did not. Yes, this is real. Thank you, MS Paint. 1996: I held out a couple years for Angelfire. If anyone frequented Roswell fan-run websites in the late 90s you may recognize me from Michael and Maria Online… no big deal — They say anything that you put on the internet is there forever, although I’m not sure this is quite what they meant. But, I’ll own it. (Check out what’s left of it here.) Extra points if you can track down my fan fiction. Oh, and by Roswell, I mean The WB television show, not the UFO incident. THAT would be nerdy. Try sitting here eating a bag of Fritos. 1997: AOL Instant Messenger is released, rendering human interaction and telephone conversations unnecessary and breeding a generation of terrible face-to-face communicators who would rather wait two days for someone to reply to an e-mail than pick up the phone and speak with them directly. And by directly, I mean still from a distance and without eye contact, but by opening one’s mouth and making sounds. 2001: Wikipedia joins the internet ranks, and I head to college. Correlate that as you will. 2003: Welcome to MySpace — a place for friends, and creepy old men with Wi-Fi in their white windowless vans. 2004: The Facebook was introduced at Hahvahd… but since I went to a state school, I would have to wait for it to tumble downhill to us plebeians. 2006: Facebook expanded its reach to include anyone over the age of 13 with an e-mail address. Because that’s what high school students need, a public, faceless forum to say whatever nonsense they want — and post overly made-up duck face pictures of themselves dressed in Victoria’s Secret Pink sweatpants. 2009: The word “unfriend” is added to the New Oxford American Dictionary as the “word of the year” — queue the locusts and start stockpiling canned food. 99 Cents for a cell phone game? Pshhh. 2010: Apple releases the iPad — a tablet-shaped computing device that makes desktop computers look like overweight robots. 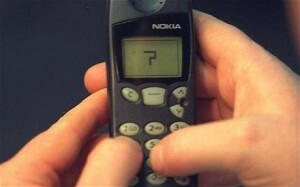 90s kids regale the young Angry Birds-playing generation with tales of a little game called Snake played on Nokia cell phones the size of bricks. This will become the “walking to school barefoot in the snow uphill both ways” of our generation. 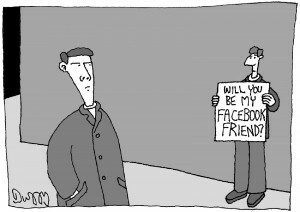 2012: Facebook reaches a billion users, and social media becomes a receptacle for useless information. Want to know your second cousin’s personal best running time? Check Facebook. 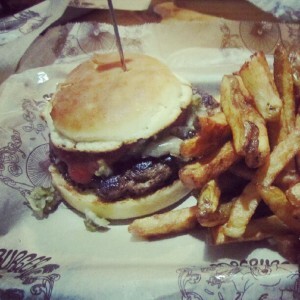 How about what your ex-boyfriend’s sister had for lunch? Look how the salt glistens in that Lo-Fi filter. Word to the wise, best friend’s little brother, maybe don’t take your LinkedIn profile picture with your cell phone in the mirror. Or maybe do — this unemployment thing is no joke and it’s time to thin the herd. 2013: girlpocalypse is born. We are on Twitter. Can I get a retweet? This entry was posted in out of the box, pop culture, throwback thursday and tagged America Online, Internet, Internet History, Prodigy Online, Social Media, Social Media History, World Wide Web by Amanda. Bookmark the permalink.